Harsh noise enthusiasts rejoice, as today a 4-way split from some of the most deft musicians in that genre field. Featuring dynamically skilled artist Aaron Turner (Sumac, Old Man Gloom, Isis) and Faith Coloccia of Seattle's Mamiffer as House of Low Culture, Daniel Menche, Andrea K.'s of Vice Device solo project Caustic Touch and EMS, the split showcases each artists' ability to make even the most grating of sounds appealing. Each artist got at least one track on the split, but Caustic Touch surely commanded much of the album having contributed three. 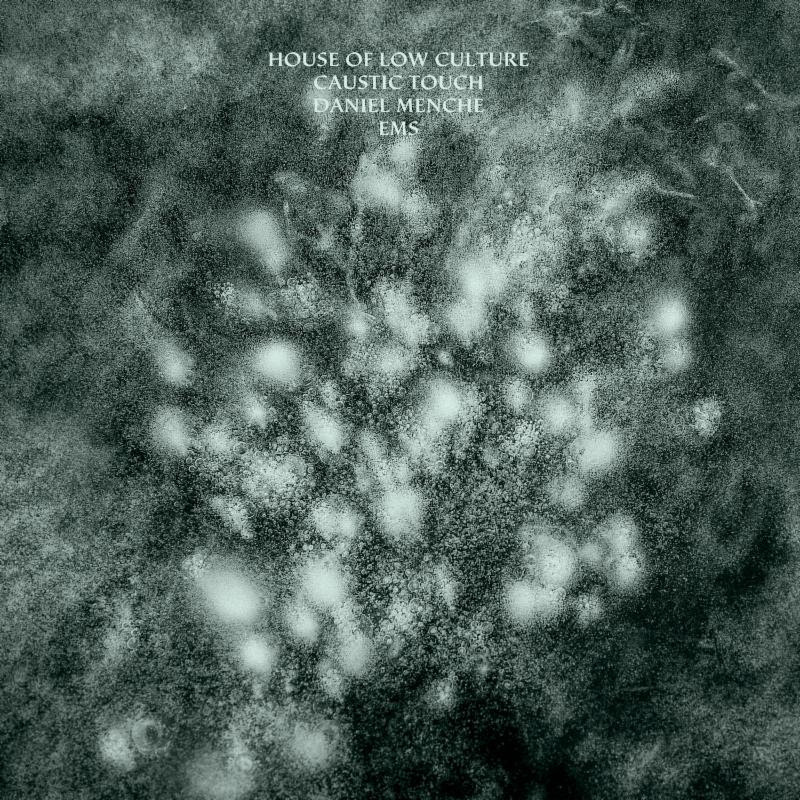 The album carries itself almost like a grating tale, with House of Low Culture's "The Pervasive Mind" as the album's exposition, Caustic Touch's "Desiccating Wind" beginning the rising action, "Is She Ectoplasm?" by Daniel Menche as the falling action, and "Hierarchy of Bodies" by EMS ending it as the resolution. There's a beauty to its discordance that makes the album gripping. What will be even more interesting to see is how each of these artist's translates these tracks into live performances. See how each of them does it at the release show for the split tonight 12.15 at Modular 8.